On 7 July 2008, George Town was formally inscribed as a UNESCO World Heritage Site. In conjunction with the celebration of this recognition, the origin of setting up a “one-stop” outlet serving Penang foods and drinks was derived by the founder. With this idea, we combined all the traditional famous Penang hawker foods as well as blend in our regionally grown white coffee to complement the meal. We’re sure that you can never resist the delightful of all these exceptional hawker foods. Enjoy quality time with loved ones here. 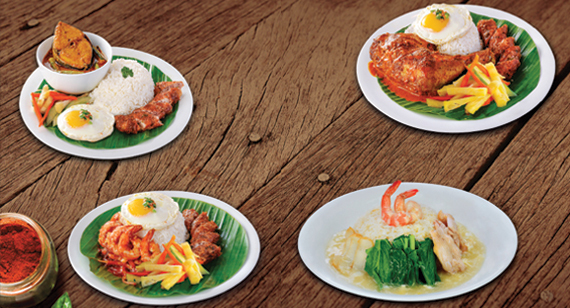 At GEORGETOWN WHITE COFFEE, our trained chef is always ready to prepare fresh ingredients and serve sizzling plate on your table. Therefore quality can be assured and the taste of the foods is probably better! You can spend quality time with your friends, family and loved ones here. Given a request in advance, we also cater for any gathering, function or event. 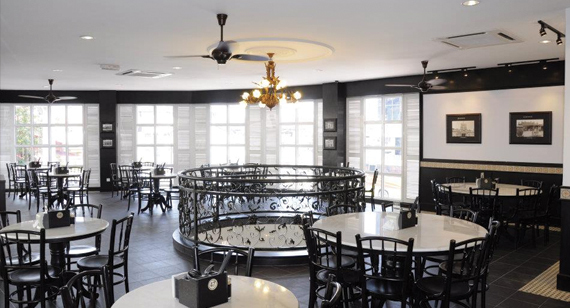 Without a doubt, GEORGETOWN WHITE COFFEE is not merely an eatery place but also a place to host your celebration together with you. In our outlets, food cravers can dine in a comfortable ambience with soothing music and relaxing environment to enjoy our foods & drinks. Diners can also enjoy free WIFI service in every outlet. 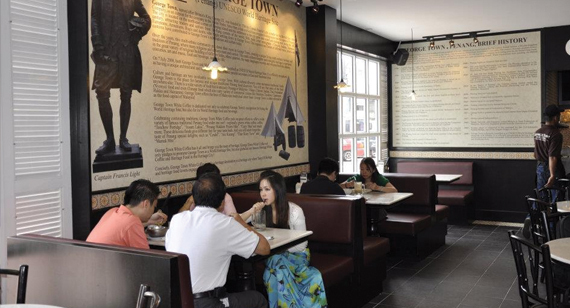 Therefore it is truly a place for all levels of the community to gather and hang out in GEORGETOWN WHITE COFFEE. Once step into GEORGETOWN WHITE COFFEE, you will discover that you’re lucky enough to have encountered with all these supreme Heritage Foods!